You are here: Home / DIY / Easy Craft Projects / How To Make A Putty Mold! 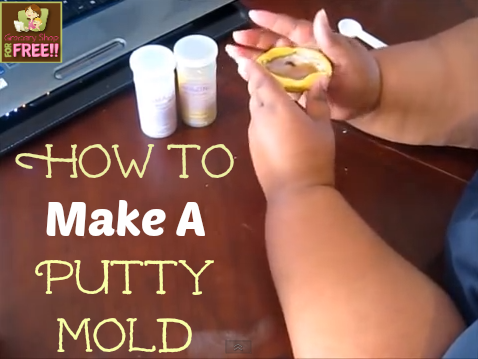 How To Make A Putty Mold! Tamona is back with another fun crating idea! today she will show us how to make a putty mold. This week’s project is to create a mold using mold putty. This one is super simple and does not take much skill at all. I can prove it, I did it lol! You will need a two part mold putty and whatever object you want to create. In this particular video, I am creating a medal for my sons’ basketball team. This will be in their little bag at the end of the season. Today, we are just creating the mold and next week, we will create the medal itself. Tamona is great her site gives exceptional tips too on how to get a ton of shopping for very little cash. I wish I could go shopping with you gals. I live in East TN not sure where you guys are. Stop by glossymoney sometime too when you get a chance.